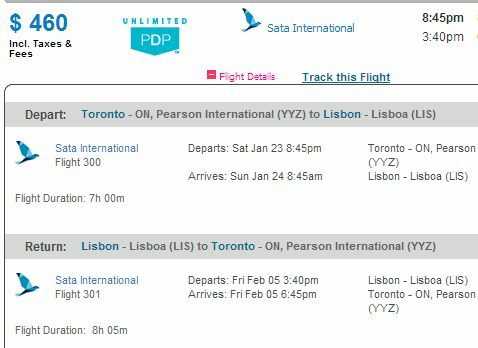 SATA is showing some great prices from Toronto to Porto, Portugal on select dates in May 2016, around the May long weekend. The flight price includes 1 piece of carry-on, and 1 piece of checked luggage. With such few dates available, it will likely sell out quickly. There are also some flights from Toronto to Lisbon, Portugal (LIS) in the months of Nov 2015 to May 2016 for a similar price. Mixing and matching the above departure and return dates (for shorter or longer trips) may also yield a cheap price. You may also find similar prices, on the same dates, to a few other islands in the Azores (connecting in Ponta Delgada), such as Terceira (TER) and Flores (FLW). Where to stay in Porto or Lisbon or Ponta Delgada ? 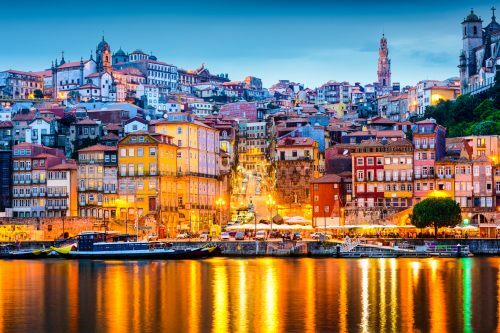 The following AirBNB links will lead you to some great deals on places to stay in Porto or Lisbon for under $60 CAD/night for 2 people. toronto, yyz, flight deals, europe, western europe, lisbon, lis, southern europe, ponta delgada, azores, pdl, porto, opo, sata, flr, terceira, ter and flores. 4 Responses to "Toronto to Porto, Portugal - $437 CAD roundtrip including taxes - around the May 2016 long weekend"
Thanks so much! The price is now $450.30CAD with the promo code, a little bit more than the post but still a great deal. 2 tickets purchased! $712.49 USD for 2. Thanks!!! Great find! We're booked! Thank you! locked and loaded for May 2016, you are my deal finding hero!